The Horn Economic and Social Policy Institute (HESPI) is an independent, non-profit regional think tank, which builds capacity for institution in member countries of the Inter-Governmental Authority for Development (IGAD) and other low income countries. The institute is involved in high level quality research and mounting of specialized training on diverse issues for members of legislature and staff of relevant departments within the executive and other think tanks. Among the Institute’s core programs, is institutional capacity building with the goal of improving financial sector effectiveness, and enhancing financial governance and integrity. The challenges faced by developing countries today is the need to strengthen fiscal discipline, bring resource allocation in line with policy priorities, create an enabling environment for public financial managers, and protect due process. According to the latest report released in January 2010 South Sudan, and Somalia ranks among the bottom 10 countries. Whereas these countries are emerging from devastating conflicts it is inevitable that they need to make efforts to strengthen institutions of public finance and integrity. Security and peace shall only succeed in the long-term if governments make the necessary changes that increase transparency and efficiency in the use of public resources. 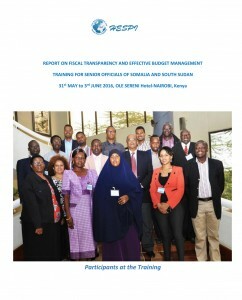 HESPI has been supporting the key integrity institutions of Somalia and South Sudan, including the Ministries of Finance, Public Accounts Committees of the legislatures, Supreme Audit Institutions, Central Banks, and anti-corruption agencies to strengthen effective Public Finance Management (PFM). 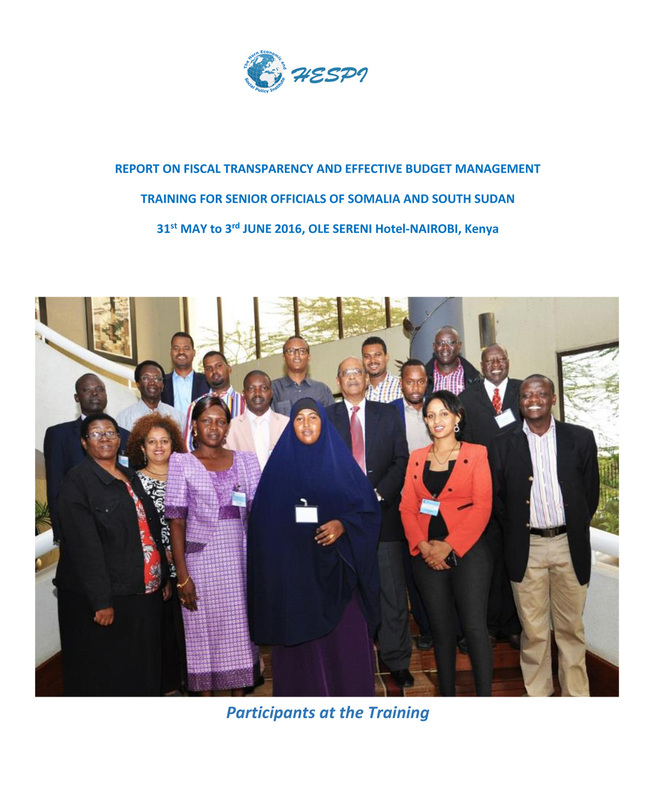 It is in this effort that HESPI organized a training of middle level budget management officials on fiscal transparency and efficient budget management techniques and approaches at Nairobi on 31st of May to 3rd of June 2016.